Do you have your "go-to" items? I certainly do!!! Over the years I've learned what I like to work with and I really stick with just those few things. I don't usually go for trends. Oh, when I first started this addiction...I mean hobby....I thought I had to have everything!! Anytime I saw a card using something new, I had to get it!!! Now I'm not like that at all....ok, I must confess that I still sometimes get sucked in...but not nearly like I did in the past. 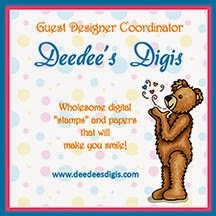 This week at Eureka Stamps we are using our 3 Favorite Embellishments. For me it's pretty easy...my go-to items are usually bling or pearls, ribbon, and buttons. But for this time I'm taking a bit of liberty here and considering an embossing folder an embellishment...or maybe the pop dots I used (even though they can't be seen). But of course - there had to be bling and ribbon. I used Digi37303 – 1 Cor 13 13 which is perfect for a Valentine's Day card, don't you think? Come on over and use your 3 favorite embellishments....and I'll try to resist the temptation to go shopping when I see the neat stuff you used! Pretty! I like how the red and pink colors look together. The embossing lends texture to the card and makes it pop! It can be so easy to get sucked into the trends when we first start out in this hobby. Good for you for paring back, though, and focusing on the things you truly love to use. Your card is precious -- love that the verse is the centerpiece!